Funeral services for Cynthia Parker Hardman, 72, Lawrence, will be at 10 a.m. Tuesday at Rumsey-Yost Funeral Home, with the Rev. David Rivers officiating. Burial will follow in Memorial Park Cemetery. Cynthia died Saturday, Mar. 16, 2013, at Brandon Woods at Alvamar. 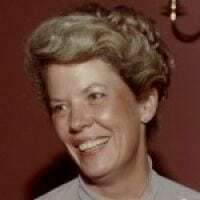 She was born Dec. 27, 1940, in Lawrence, the daughter of Thomas B. and Peggy Katherine Schenk Parker. She graduated from Lawrence High School in 1958, and later attended Gulfpark Jr. College in Gulfport, Miss.,	and	Kansas University. She worked in the family business, Jayhawk Bowling and Trophy, for many years. She later owned and operated The Type Shop, and ended her working career by following her father’s footsteps into the automobile sales and leasing business. She enjoyed cooking and reading and studying the Bible. In her earlier years, she enjoyed boating and waterskiing. Survivors include two sons, John Hardman and wife	Amy,	Lawrence, and Bryan Hardman and wife Stashia,	League City, Tex; two daughters, Mary Sites and husband Tim, Wichita, and Kari McCune and husband Brad, Manhattan; a brother, Tom Parker Jr. and wife Marty, Clarksville, Tenn.; and 8 grandchildren, Nathan, Alex, Thomas, Katie, Madison, Halle, Peyton, and Keller. The family will receive friends from 5:30 – 7 p.m. Monday at the funeral home. The casket will remain closed. In lieu of flowers, memorials are suggested to the Brandon Woods Employee Fund, in care of the funeral home, 601 Indiana St. Lawrence, KS, 66044. Online condolences may be sent at rumsey-yost.com. Please sign guestbook at Obituaries.LJWorld.com.